Music has the ability to define a piece of media. If your site deals with animation, games, video creation etc., an audio track can take it to the next level. But to produce an original audio stock can be costly. If you want stock audio in budget, then this is a must-read article for you. 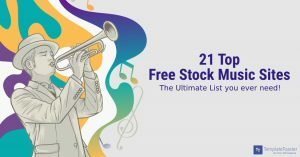 A list of free audio stock sites is devised here.